This March, the SERVE EVERY DAY ministry of ACTION gave the gift of accessibility to an 84-year-old retired Navy SEABEE. The ACTION office had received a call from a woman requesting help for her disabled father, “Mr. E,” to help him maintain his independence and to safely navigate inside his house. She informed us that he had just lost his wife of more than sixty years and was now in need of modification to areas of the house that were restricting his movement. In response, the ACTION Disability Ramp Team sent a construction volunteer to the house to assess and determine what we could do to help. We discovered that Mr. E was struggling to ambulate through his home, due to his inability to step over doorway thresholds and also could not safely enter or exit his shower. Although he had been using a walker to ambulate independently, he was also suffering frequent falls and injuries, leaving him stranded in his home without immediate assistance. 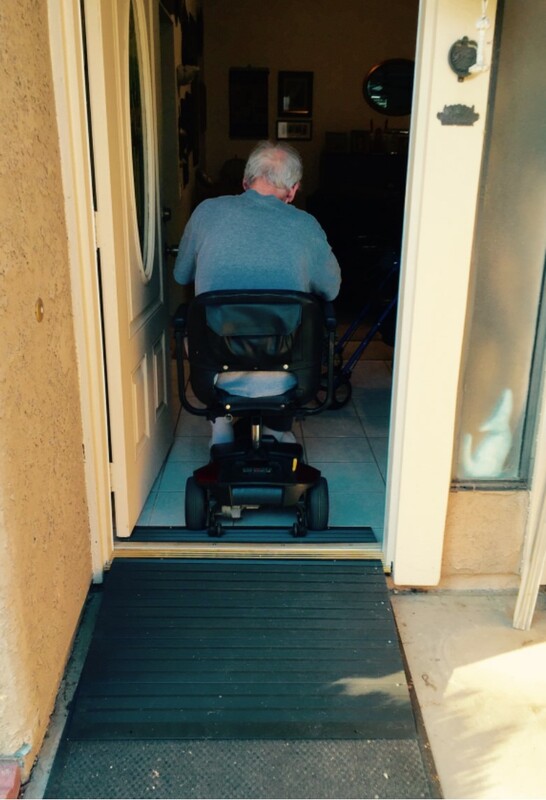 His current condition prompted Mr. E to now transition into a wheelchair and required that he use ramps to get in and out of the house. Mr. E expressed his deep wish to remain independent and living in his home for as long as his mobility would allow. The ACTION Disability Ramp Team was able to grant Mr. E this wish, by listening to his needs and assessing his house to determine what mobility devices would provide him his independence. 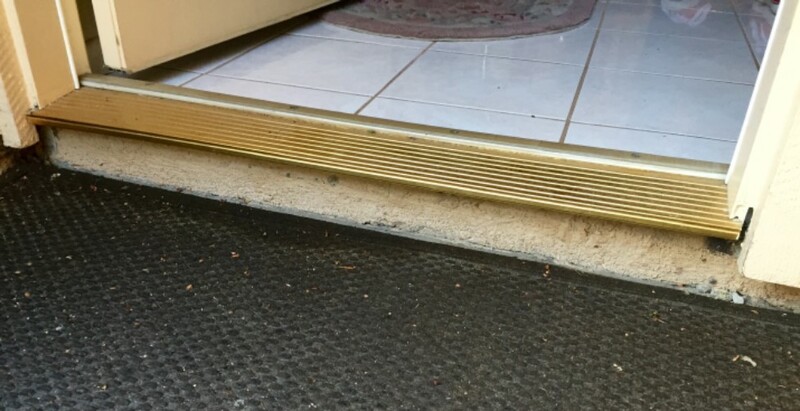 The next day, an ACTION volunteer was able to install a recently donated wheelchair ramp to Mr. E’s front door, providing him immediate access in and out of his home. A few days later, ACTION was able to send a fellow retired military veteran to install grab bars in Mr. E’s shower, allowing him to safely and independently transfer and bathe. Lastly, the Disability Ramp Team installed a partial ramp to Mr. E’s patio so that he could once again enjoy bird watching in his backyard. Thanks to the dedication and sacrifice of ACTION volunteers and donors, and the Disability Ramp Team, Mr. E is living independently in his home.